Language plays a pivotal role in all human affairs. Linguistics seeks to understand how it works – how it is structured, used in society, and represented in the mind – while phonetics looks at how sounds are produced and transmitted. Together, these disciplines offer you a deep understanding of the ways that humans communicate. This degree will introduce you to the fundamentals of language, including theories of grammar and the production of speech sounds. Teaching staff have such diverse research interests that we can offer a wide range of optional modules allowing you to pursue the areas that interest you, such as psycholinguistics, language acquisition, sociolinguistics, language contact and change, pragmatics, and discourse analysis. Combining theoretical study with both quantitative and qualitative research, this degree quips you with a wide range of skills as well as a deep and broad understanding of a crucial facet of human behaviour. 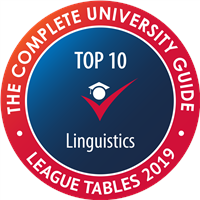 Leeds has some fantastic resources for studying a linguistics and phonetics degree. We have a recording studio and fully-equipped phonetics lab for acoustic and articulatory speech analysis, as well as a linguistics lab including eye-tracking equipment and other resources to help with experimental research. You'll have access to the resources in the on-campus M&S Company Archive, where interesting work has already been undertaken to explore language use over a century of Marks and Spencer’s heritage. You'll be encouraged to make use of these facilities for module projects or dissertations, giving you valuable experience of different types of research. In your first year, you’ll take core modules introducing you to the main principles of linguistics and phonetics, as well as selecting discovery modules that will give you the chance to study a subject from outside the department. You’ll continue to benefit from the range of choice on offer in your final year, selecting optional modules and pursuing independent research to present in your dissertation. Discovery modules from outside the department are available throughout your degree. The ‘Language and Intercultural Understanding’ theme includes modules which allow you to explore the challenges of working across cultures, find out about intercultural dynamics or consider to impact of globalisation. You could even learn another language. Other themes include 'Media, Culture and Creativity' and 'Technology and Its Impacts'. Our tutors are experts in their fields and are leaders in their areas of research. You'll benefit from their knowledge and experience through a wide variety of teaching and learning methods including lectures, seminars, tutorials and workshops. Independent study is also an important part of the degree, since it gives you the chance to work on your research skills and think critically about what you find. We offer plenty of support, and the University Library offers great training programmes to help you make the most of our excellent resources. BTEC Level 3 National Extended Diploma: DDM-DDD. Other BTEC qualifications are also considered. Please contact the Admissions Office for more information. 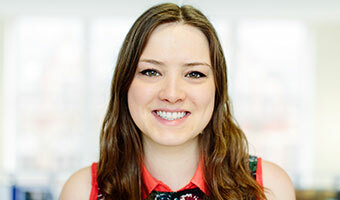 A Linguistics and Phonetics degree will equip you with a wide range of skills. You’ll be able to study different approaches, some of which will be more arts-focused and others more science-oriented – and that means you have the opportunity to cultivate skills in a number of areas that employers highly value. As a result, graduates have gone into a range of careers, including advertising, marketing, publishing, broadcasting, journalism, PR, tourism and the civil service. Alternatively, you can apply for a year in industry, also known as a work placement. It’s a great opportunity to gain invaluable work experience as part of your degree, can help you decide on your career and improve your employability. You have the option to apply to take a placement year module with organisations across the public, private and voluntary sectors. If you apply and are successful, you will work a graduate-level job in your third year, after which you will return to Leeds to complete your studies. Dedicated staff from our School and the University’s Careers Centre will support you in finding and applying for suitable placements, and will be available throughout your work placement year. Find out more on the Careers Centre website.